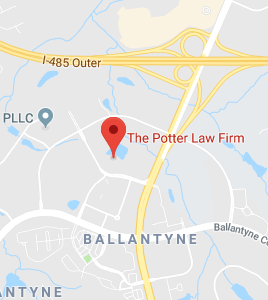 The Potter Law Firm is extremely proud to provide elder law and estate planning services to all our friends and neighbors throughout the Boyd County, KY area. We endeavor to help every client enjoy the benefits provided by sound estate plans that help them with asset protection, Medicaid planning, incapacity strategies, and all their legacy planning needs. We can work with you to help ensure that you safeguard your assets and help them increase in value, while protecting your interests with effective incapacity strategies that shield you from the worst effects of sudden illness or injury. Whether you’re already a resident of Boyd County, KY, or are contemplating a move to the area, the Potter Law Firm is here to help. Boyd County, KY is a county in northeastern part of Kentucky. In 2014, the county’s population was reported to be 48,832, which was down slightly from the 2000 population of 49,752. The county seat is located in Catlettsburg, and the county is officially a part of the broader Huntington-Ashland, WV-KY-OH Metropolitan Statistical Area, which boasts a population of more than three hundred and sixty thousand people. Boyd County has a long and rich history in the state, having been formed from parts of three other counties in 1860. It’s named for a former United States Congressman, and exists in an area that has seen periodic habitation since prehistoric times. Fully three-fourths of the county’s population is designated as urban. The county has a median household income of 41,961, which is a significant improvement over the $32,749 recorded in 1999. That income also compares favorably to the statewide median of $43399. Industries in the area include health care and social assistance, which comprises 29% of economic activity, educational services (13%), retail trade (13%), and food and accommodation services (10%). The most common jobs include construction and extraction occupations (11%), transportation (11%), sales (10%), and office and management, which together provide another 16% of all employment. It’s a diverse economy that can provide many opportunities for Boyd County residents to grow wealth that needs the asset protection and planning help that the Potter Law Firm can provide. The median age of residents in the county was reported to be 41 years in 2014. That’s three years higher than the statewide median of 38. Of those residents, 21.8% are below the age of 18, and another 15.6% are age 65 or older. More than 12% of the area’s households are made up of seniors living on their own – almost the same percentage of seniors reported to be living in poverty. Seniors in the county typically try to remain in their own homes for as long as possible after retirement, though many are forced to rely on friends, families, or nursing home accommodations when their health care needs begin to make such independent living untenable. Caring.com provides a list of long-term care facilities in the county. Seniors and their families often struggle with decisions involving their long-term health care needs. That makes it critically important for them to research their options before committing to any decision to ensure that they pick the right facility and secure the funding needed to pay for that care. The Potter Law Firm can help seniors with those efforts, and provide the planning they need to ensure that Medicaid and other benefits are there for them when they need it. For those moving into the area or considering a new business in any of the county’s cities and towns, it is important to research demographic information concerning labor and housing. Recent data about home values and educational achievements can be helpful in that regard. Throughout the county, the median house and condo value was estimated to be $97,302 in 2013. That’s about 50% higher than the 2000 estimate of $65,600. Statewide, the median value of homes stands at approximately $120,900. The median monthly rental cost is $445, which is $80 less than the statewide median cost. Business owners should know that 78% of area residents age 25 or older have at least a high school education. 14% have at least a bachelor’s degree. Among all residents 25 or older, the unemployment rate is roughly 6%. Probate matters for the county are dealt with in the county seat of Catlettsburg, Kentucky at the District Courthouse. The court is located at 2800 Louisa St # 102, Catlettsburg, KY 41129, with normal business hours of 8:30 AM to 4:00 PM, Monday through Friday. To contact the court regarding matters involving probate and guardianship, the clerk can be reached by phone at (606) 739-4134. Probate court has an important place in the county, as it is responsible for family-related concerns ranging from estate settlement to guardianship appointments for minors and adults who have been assessed as incapacitated. If you have concerns about any of those issues, you can usually obtain the information you seek by contacting the courthouse during business hours. The Potter Law firm is committed to helping you get the answers you need too, as we not only answer your most pressing questions, but can help executors manage probate, provide a full range of estate planning services, and offer incapacity planning to help you avoid the guardianship process. The estate planning and elder law experts at the Potter Law Firm remain as committed as ever when it comes to helping Boyd County, KY residents get the help they need to deal with complex elder law and estate planning concerns. We work with you to protect assets, secure your family’s interests, provide sound business and retirement planning, and complete the type of in-depth estate planning strategy that provides incapacity planning, Medicaid eligibility planning, and the clear legacy plan you need. If you’d like to know more about how we can help you with your estate planning and elder law needs, contact us online or call us today at (606) 324-5516.